When was the last time that you took a little weekend away with your girlfriends? As my children are getting older I have been able to enjoy that luxury more than when they were babies. There were MANY years that I was lucky to get away for one day every six months!!! HAHA…you know it is true! I am heading to Illinois in three short weeks to teach three classes at the NaDa Farm Sale. I was just talking with two of the other artists that will be teaching and we want to do something pretty special for you guys! I am so giddy just typing this!!! 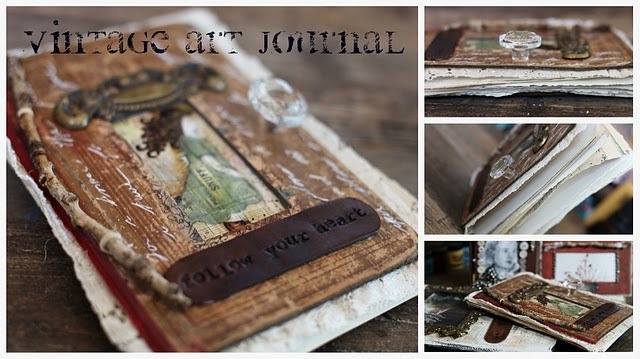 I will be teaching an art of business class, a vintage mixed media class and a vintage journal class. 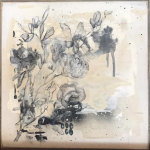 Jennifer Rizzo will be joining me on Friday night for the “Avenues to the Art of Business” class and she is also teaching a “Reflections of the Prairie” mixed media class on Saturday morning. 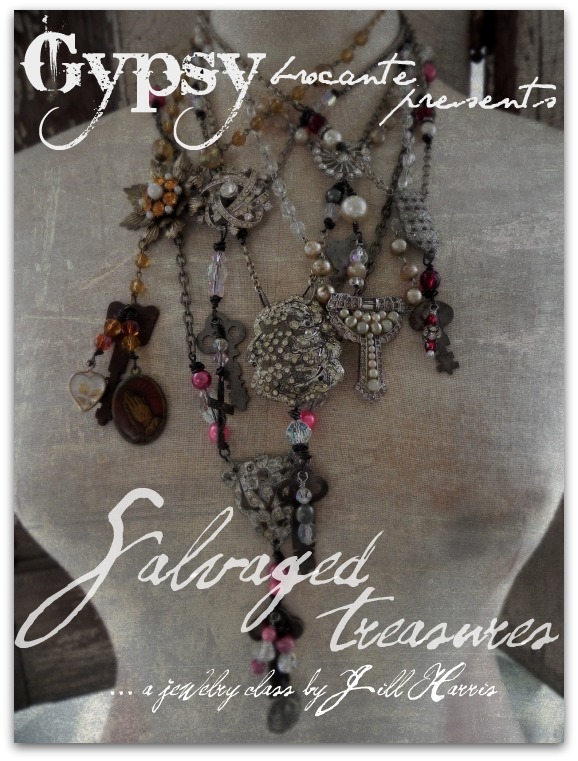 Jill Harris will be teaching “Salvaged Treasures”…a jewelry class using vintage pieces!! We have all come together to offer one of you a GIRLS WEEKEND PACKAGE! One winner will win TWO spots to EACH of our classes!!!! The winner and their favorite friend 🙂 will be VERY happy girls! The winner will get TWO spots in the “Avenues To An Artful Business”, TWO spots in Jen Rizzo’s “Reflections of the Prairie” class, TWO spots in Jill Harris’ “Salvaged Treasures” jewelry class, TWO spots in my “Vintage Journal” class and TWO spots in my “Vintage Mixed Media” class! You will also get a FREE hotel room courtesy of the three of us. 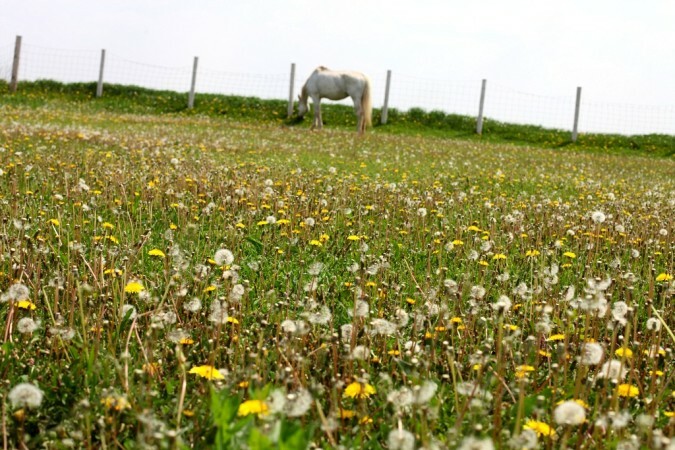 Your hotel will be only minutes from the NaDa Farm Sale! You will also get free admission to the NaDa Farm Sale and coupons for free goodies at the sale. The total value of the Girls Weekend Getaway is over $500!! 1. Blog about the Art on the Farm classes at the NaDa Farm Sale and the Girls Weekend Giveaway . Once you have blogged about it come to ANNE MARIE’S BLOG and let us know. 2. Talk about the art classes and giveaway on Twitter for a second entry! Once you have talked about it let us know on ANNE MARIE’S BLOG. 3. Talk about the art classes and giveaway on Facebook for a third entry. Once you have talked about it on Facebook come back and let us know on ANNE MARIE’S BLOG. Even if you have already paid for your class or you sign up this week and you win….don’t worry… we will refund your money! Classes are filling up quickly as the NaDa Farm Sale date is getting closer. If you want to sign up for my art of business, vintage journal or vintage mixed media class you can email me at Jeanneoli@hotmail.com to register. If you want to sign up for Jennifer Rizzo’s Reflections of the Prairie class you can email her at thecraftyhome@comcast.net. To sign up for Jill Harris’ Salvaged Treasures class you go can directly HERE to sign up. If one of my readers wins (you will have to let me know) I will also have a grey ruffled messenger bag filled with goodies to give you! Also…I have closed my comments so you know to go only to ANNE MARIE’S BLOG to enter. All of our posts are being directed to her blog so there is no confusion when we draw a winner. 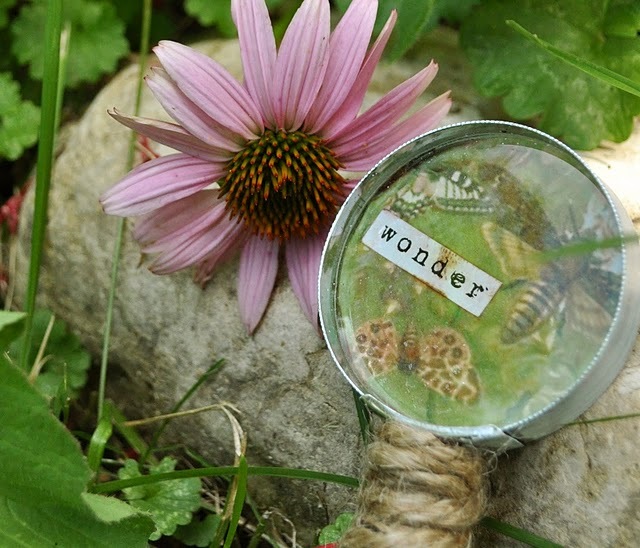 Here is a fun video that Anne Marie made that tells a little about the classes. ART on the farm from Anne Marie on Vimeo. Reminder that this is the final hours of our 24 hour offerings. You have until this evening to get our Vintage French Digital Collections for 1/2 off. I know that you and your friends will make this an INCREDIBLE event for a couple lucky girls! Have so much fun yourself! !